Yoshinkan literally means “House for the cultivation of the spirit”. Yoshinkan Aikido is known for its clear, precise movement resulting in effective and powerful techniques that do not rely on strength to execute. It is also known for its step by step teaching method, which comes to us from Gozo Shioda Sensei, founder of Yoshinkan Aikido. We develop our knowledge in this art through our study of the basic movements and techniques. The key element of our teaching system is the use of six kihon dosa (basic movements). These movements are the “building blocks” for all techniques. They embody the essence of moving forward, turning and pivoting while maintaining a“centerline” to the body. Through the study of the kihon dosa, we learn to move in a relaxed way, with focus on balance. As a student’s skill in the kihon dosa grows, one naturally develops a sense of balance, inner strength, agility and self-confidence. There are nearly 150 kihon waza (basic techniques) to defend against a variety of attacks. We learn to defend ourselves from punches, strikes, grabs, knife attacks, etc. These defensive techniques end by throwing the person or pinning them on the ground. The formal basic techniques serve as a basis for advance training in freestyle. With this superb teaching method, and our emphasis on safety and body mechanics, students can learn powerful movements while developing harmony both within themselves and with others. Oyo waza (formal continuous techniques) introduced to students achieved certain technical level in basic techniques and became fluent with Ukemi wasa (breakfalls). These techniques teach students to harmonize with an attacker’s power at constantly increasing rate of speed. At this point students focus shifts from learning movements to perfecting them and improving their reaction and balance. 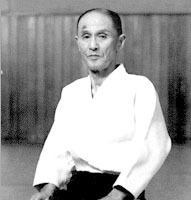 Jiyu waza (freestyle continuous techniques) is the highest level of formal aikido training. Student expected to perform various techniques against an attack or attacks prescribed by sensei. This type of training promotes further development of technique, balance, agility and proper timing (reaction to attack). Goshin waza (self-defense techniques) are based on the above listed levels of aikido training. Even though, goshin waza employs the same basic principles as formal aikido training, it is taught completely separate from regular aikido training and done at a special seminars or at designated classes or parts of a class. This separation required because of differences in applicable phylosophy and for maximizing safety during this training. Ukemi waza (break-falls) are indispensable part of martial arts training that involves throwing techniques. In aikido ukemi waza is specifically important because it serves primarily as a method to avoid dangerous joint locks or, in some instances, breaking bones. Yoshinkan aikido stresses the importance of safe landing and quick getting back on both feet. This concept is crucial to martial art training and idea of being always ready to an attack.